Labour Sacks Northern Ireland Policy Chief Over Call for Second EU Referendum - Integration Through Media ....! (VOA): Britain's opposition Labour leader Jeremy Corbyn sacked his shadow Northern Ireland minister Friday after he called for a second referendum on Brexit, a move that exposes deep divisions in the party over whether to leave the European Union. 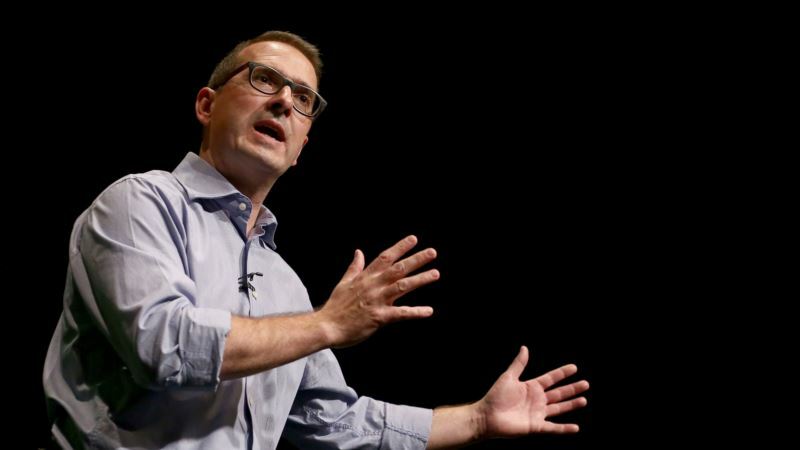 Owen Smith, who challenged Corbyn for the party leadership in 2016, wrote an article in the Guardian newspaper Friday urging his party to reopen the question of whether Brexit was the right decision. Smith said he was sacked for voicing his opinion that Brexit will damage the economy and threaten the 1998 Good Friday Agreement in Northern Ireland, which ended decades of armed sectarian conflict in the province. “Those views are shared by Labour members & supporters and I will continue to speak up for them, and in the interest of our country,” Smith said in a Twitter post. Labour is narrowly ahead in opinion polls but, like Prime Minister Theresa May's ruling Conservatives, remains deeply divided on Brexit. Britain is due to formally leave the EU on March 29, 2019. Over the last few months, Labour has diverged from the government's policy on Brexit. Last month it said it wanted to remain in the EU's customs union — a move that would make commerce with the European Union easier but limit Britain's ability to strike future trade deals with non-EU countries. The government has ruled out staying in any form of the customs union. Corbyn, who supported the “Remain” campaign in the 2016 referendum but with little enthusiasm, has repeatedly said it is not Labour's policy to offer Britons a vote on any final deal that Britain negotiates with the EU. Smith will be replaced by a former Labour minister, Tony Lloyd, who returned to parliament last year after quitting in 2012 to become police and crime commissioner in Manchester. Some Labour lawmakers criticized Corbyn's decision to sack Smith. Pro-EU Labour lawmaker Chuka Umunna said it was “extraordinary” that a shadow cabinet member should be sacked for advocating a Brexit policy that commands the overwhelming support of the party. “What has happened to our party?” he said on Twitter.